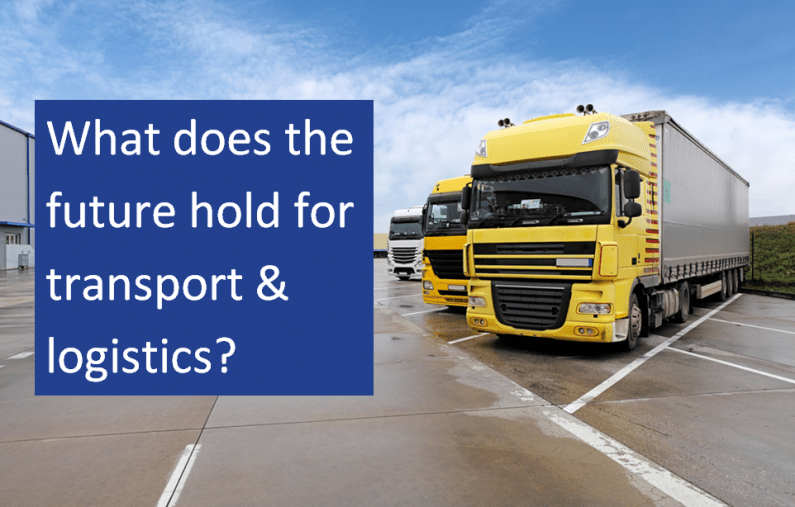 What does the future hold for transport & logistics? The transport & logistics sector is key to both the long and short-term health of our economy. Transport & logistics firms are vital to the nation’s global and domestic competitiveness and its connectivity with the rest of the world. David Wells, Chief Executive of the Freight Transport Association (FTA) recently warned the government – “ignore the needs of logistics at your peril” – in the FTA’s 2015 report. The report highlighted that “from the factory floor, to the kitchen table, it is logistics that will deliver sustainable growth” in our economy. The full report presented a somewhat cautious outlook for the sector, hinting at a decrease in the pace of growth for many transport & logistics firms on the backdrop of a slower global economic recovery. That being said, the domestic economic landscape for the sector does give some grounds for optimism. The low level of oil prices and associated check on UK fuel duty is welcome news, particularly for this heavily oil-dependent sector. The impact of lower oil prices on the UK economy as a whole, driven by the transport & logistic sector, should also see reductions in business costs and lead to increases in business activity. The needs for infrastructure improvement in the UK were also highlighted in the FTA report, with the UK languishing in 27th place globally for the quality of its overall infrastructure. Although there are currently major government projects ongoing and in the pipeline to improve the nation’s transport infrastructure, including significant investments in the road, rail and airport networks, the FTA report (which was published before the 2015 election) was prophetic in commenting that the government needed to actually deliver major projects rather than just promising them. The uncertainty surrounding the rail electrification, although seemingly now back on, is just one example of where the government has not committed to a major transport & logistics project. Where are the drivers and workers of the future? As well as infrastructure capacity, skills and people remain one of the greatest challenges for many businesses involved in the sector. Driver shortfalls in the haulage sector are particularly worrying, but the tightening labour market across the sector as a whole is putting increased pressure on firms. Attracting and retaining key employers is not an easy solution and it needs to be driven by action from both employers and the government. Increased challenges in the employment market are a heavy burden for firms to face, and one that impacts future planning, exit strategies and existing costs. In particular, the shortage of highly skilled and qualified workers is, in turn, putting upward pressure on rates. This, in conjunction to recent increases in National Minimum Wage and the introduction of the new National Living Wage, will see input costs rise for many transport & logistics firms. These rising costs are perhaps the biggest challenge for many, particularly smaller firms who may see a slowdown in growth. Overall, there is a mixed picture of optimism and caution for the transport & logistics sector in 2015 and moving forward into 2016. There are some significant challenges for all parties to handle, particularly that of increasing costs, but also opportunities through government projects and low oil prices.